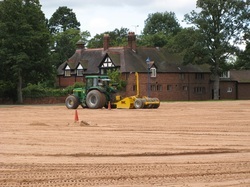 The first team football pitch was laser graded, drained at 5m centres, sand ameliorated and seeded. A very challenging job as the drains had to be installed around a fully automated irrigation system. There was also a gas main running across the bottom. 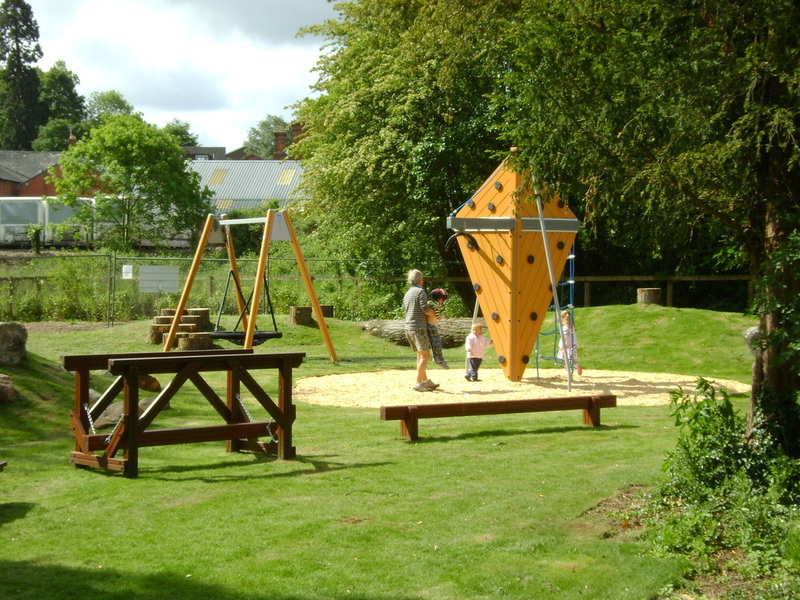 This project in Ditton Priors is a good example of how we can utilise existing equipment and combine it with new natural features to create an attractive and fun play area on a restricted budget. 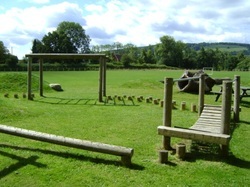 The existing timber play equipment was refurbished and we added interesting mounds, boulders and logs to achieve a natural looking pleasant environment for play and relaxation. 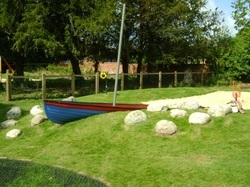 This Play Area was commissioned as a design and build project in which we incorporated natural elements such as logs and glacial boulders with play equipment such as a birds nest swing, climbing tower, 'talking flowers' and a boldly coloured rowing boat. The project also included a BMX track and the refurbishment of 'Trisha's Hut'. 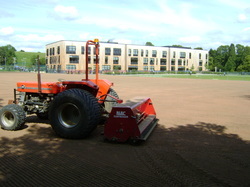 A major project of three hectares of Natural turf, which included three football pitches and one rugby pitch. We were involved in the design work which involved the design of an attenuation and soak away system as there was no positive outfall on site. The earthworks involved re levelling the entire site, replacing topsoil, installing drains. All the pitches were sand ameliorated and seeded. 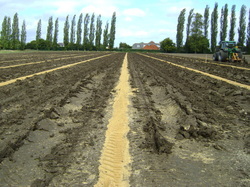 We also carried out the establishment maintenance and then installed secondary drainage in the form of sand bands. The pitched were then maintained until the secondary drainage had grown in, the goals were then installed and the pitches marked out.